You love fresh lemonade in the summer? You should know that your skin loves lemons too. The beauty benefits these citrus offers are amazing and I am sure after your read them you would like to load up on them. 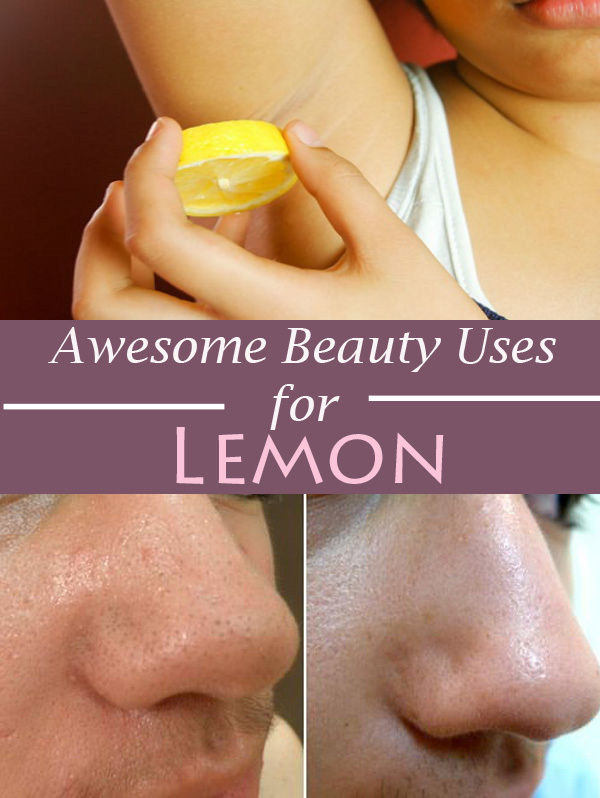 Lemon can help treat acne due to their antibacterial and astringent properties. They can help you eliminate toxic and clean your skin. All you need to do is to squeeze the juice of one lemon massage it on your face. Let it set for 10 minutes and rinse with lots of cold water. You will see how your blackheads will be fading away. Lemon contains citric acid that helps kill the bacteria that may cause bad odors. So, if you want to try a natural way to block bad odors you should try this mixture: lemon juice with little honey and oatmeal. Apply the paste to your armpit and allow it to do its magic for 1 hour. Then clean the area. Either your nails have yellowed due to too many manicures or they are brittle and dry your can try this simple treatment: mix lemon juice with a vegetal oil (olive oil, coconut oil, argan oil etc.) and soak your nails in this mixture. Repeat the treatment until you will see the improvements. This is really simple: before bedtime, apply some lemon juice drops on your lips. In the morning you will see how easy the dead skin will be removed. Keep in mind, if you have chapped lips or you have some cut on your lips do not try this treatment.